DURHAM, N.H. – Facing off against its second nationally ranked opponent in as many games, the St. John’s University men recorded a 2-1 victory the University of New Hampshire at Wildcat Stadium in a preseason match Monday afternoon. The Wildcats are ranked No. 19 in the United Soccer Coaches preseason poll. On Friday, the Johnnies played No. 16 Fordham, who reached the quarterfinals of last year’s NCAA Division I tournament, to a scoreless draw in the Bronx. On Monday, Mauricio Rivas and Tanitoluluwa Oluwaseyi scored for St. John’s, helping to erase a 1-0 deficit. Brandon Duarte, Brandon Knapp and Josiah Crawford had assists. After New Hampshire struck first in the 22nd minute, Rivas evened the score at 1-1 later in the opening half following a series of passes from Duarte and Knapp. Following the intermission, a pair of highly touted freshmen connected on the eventual game winner for St. John’s. Oluwaseyi found the back of the net off an assist from Crawford, putting the Johnnies ahead for good just about on the hour. 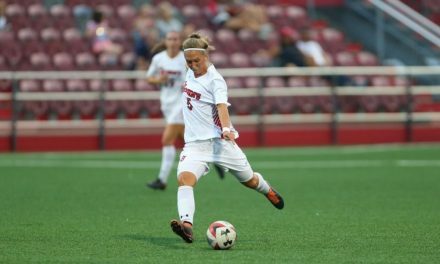 Last year, the Wildcats finished the season 13-4-5, earning an at-large berth to the NCAA D-I Tournament and winning two matches before falling to second-seeded Indiana in the third round. 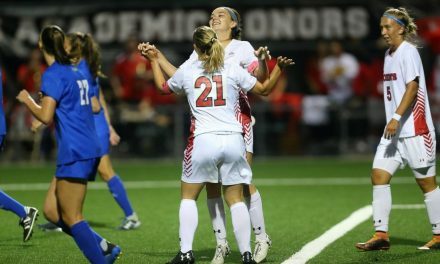 The Red Storm will play one final exhibition match before the start of the season, welcoming LIU Brooklyn to Belson Stadium Saturday at 8 p.m.